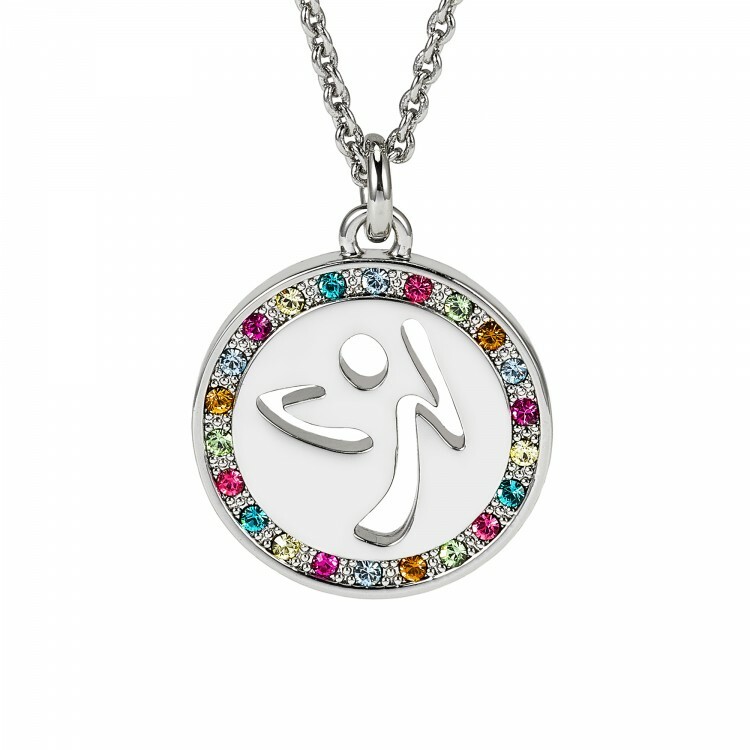 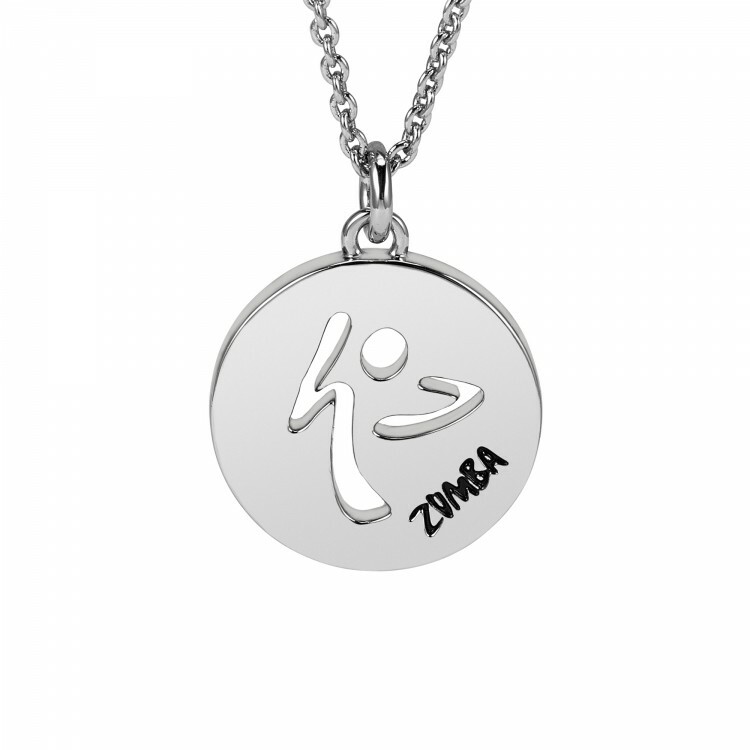 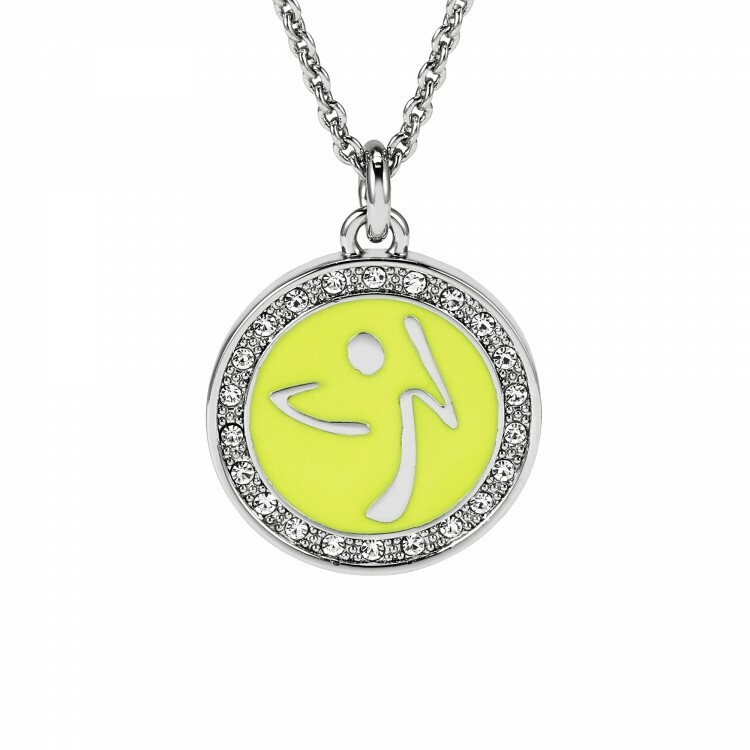 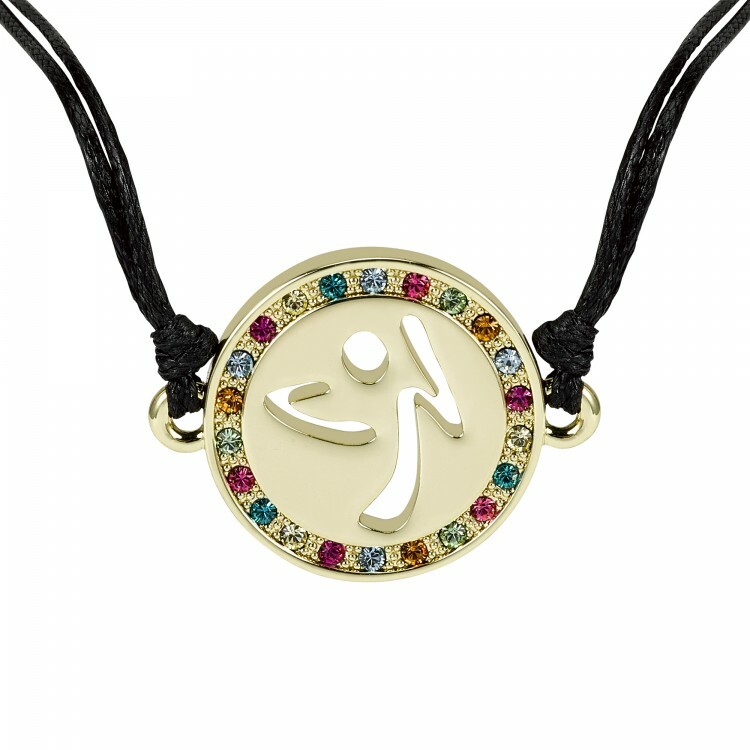 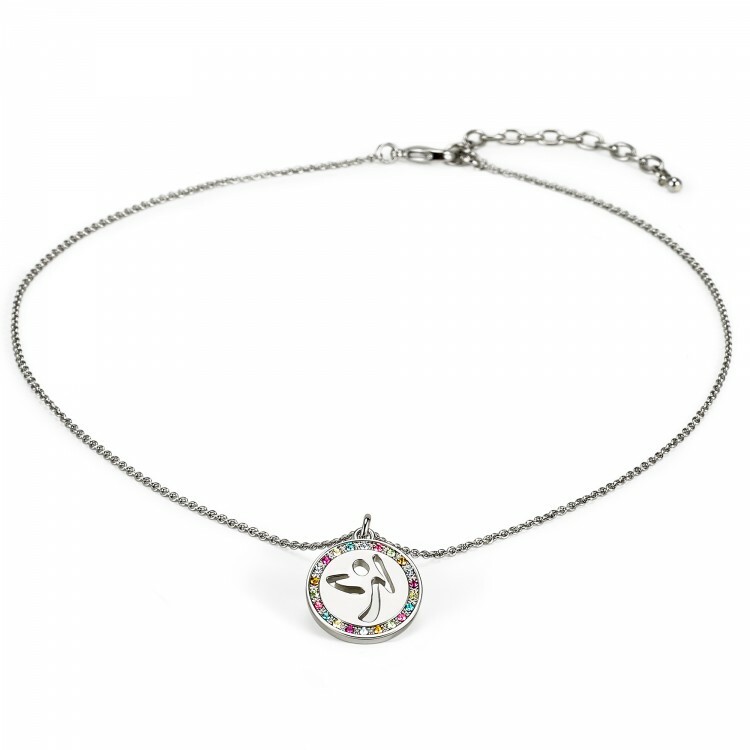 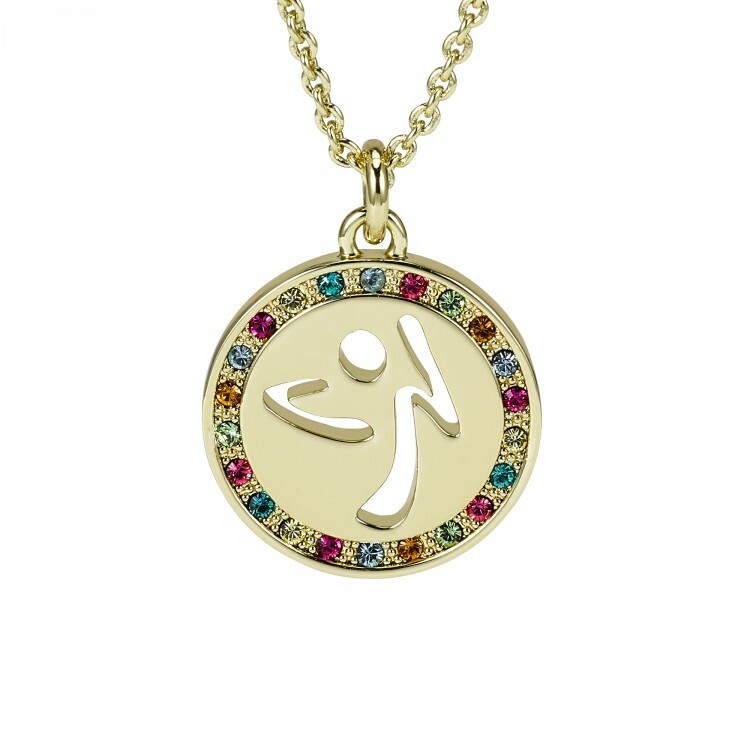 A pierced Zumba logo medallion pendant is surrounded by brilliantly bold, multi-color pave Swarovski® Crystals. 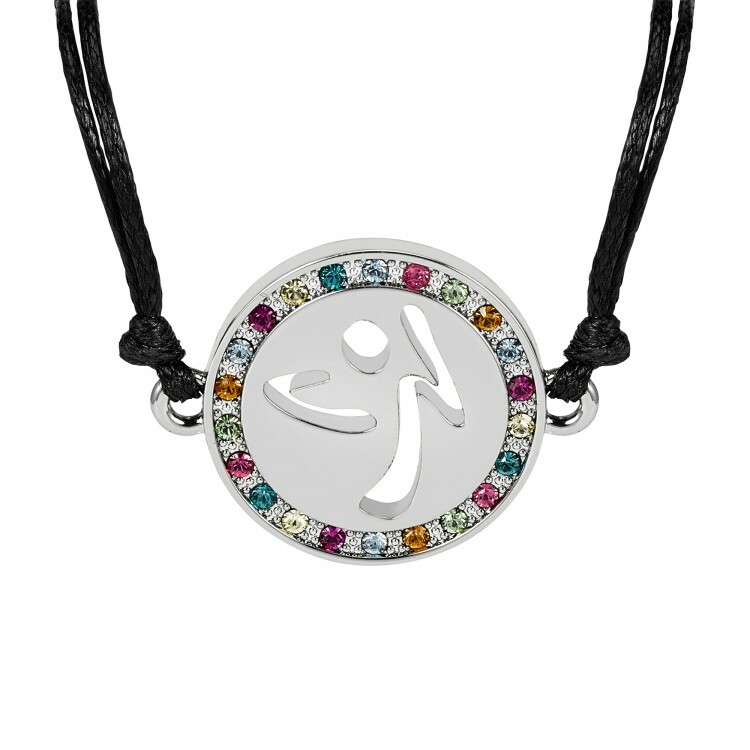 The dynamic interplay between the stunning variety of crystal colors is lively and eye-catching. 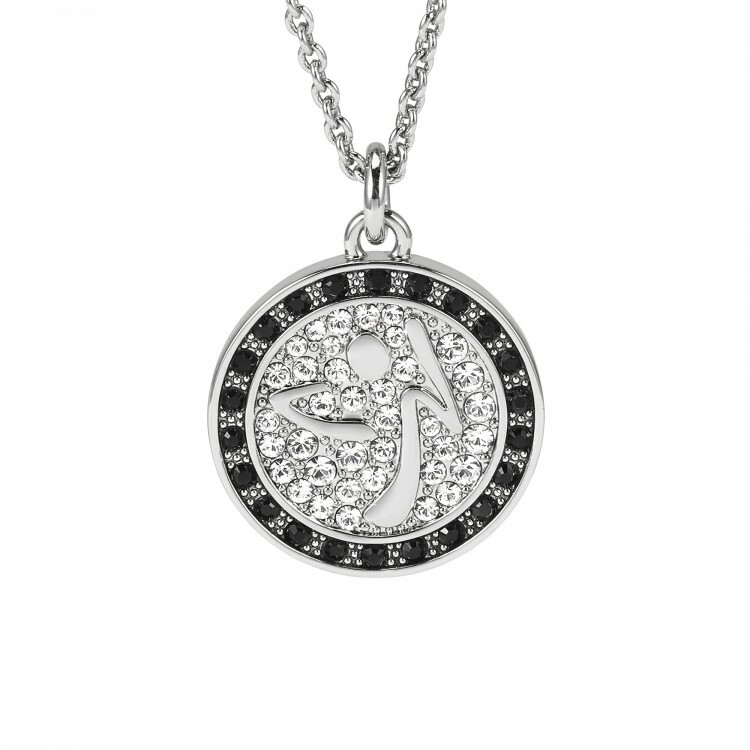 The necklace length is 16 inches with a two inch extender chain for versatility.